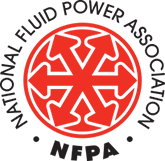 Master Pneumatic offers a variety of filtration products. From water removal to breathing air, choose M/P. 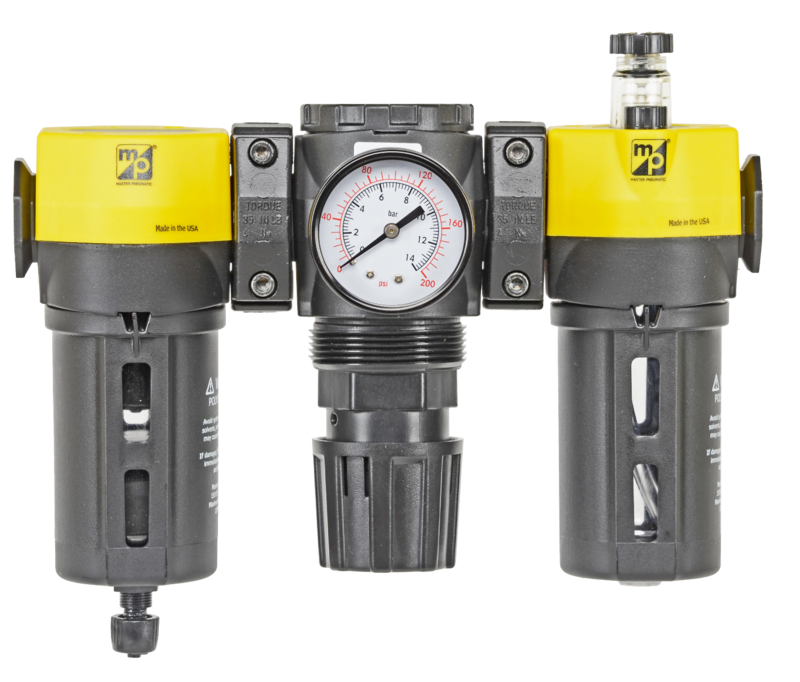 Master Pneumatic has developed over 500 special regulators for media ranging from Oxygen to Water. 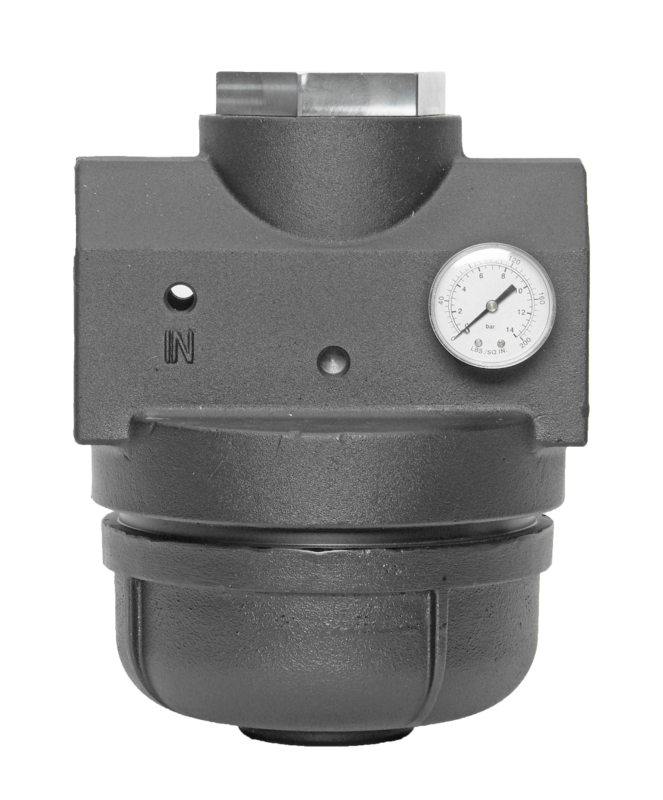 Contact us for your customized regulator solutions. 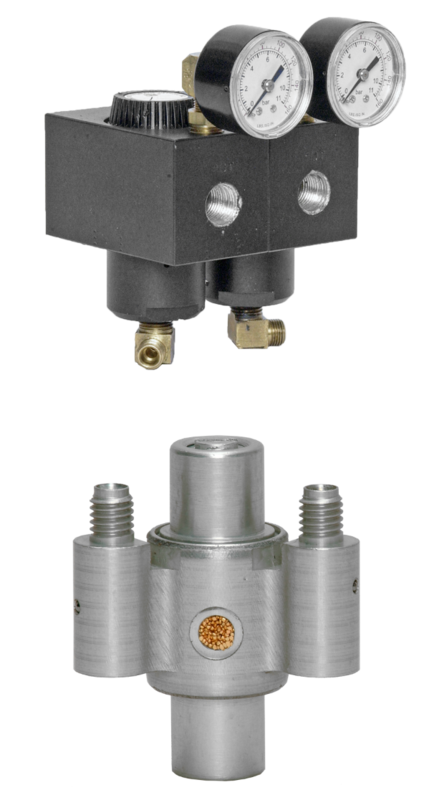 Precision Lubrication supports a safe, clean work environment while reducing down time and lowering overall cost. 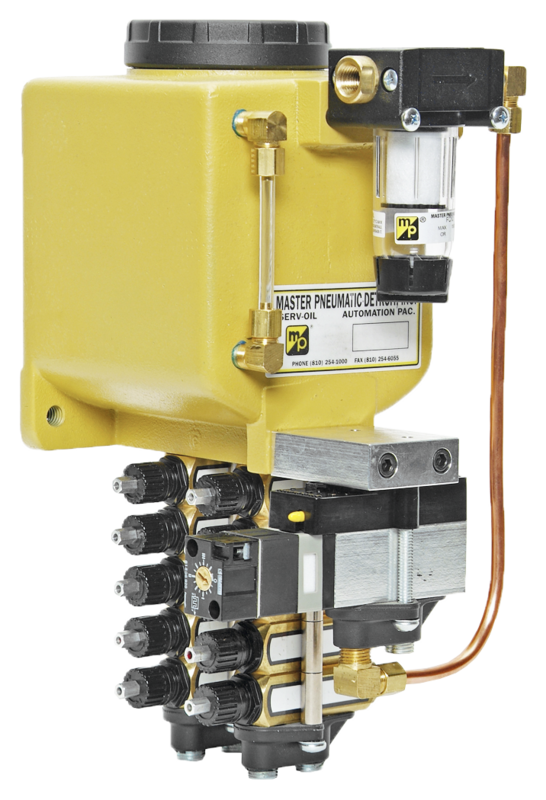 Master Pneuamtic Serv Oil products provide precision lubrication of air tools, air hoists, pneumatic cylinders and other devices creating friction. 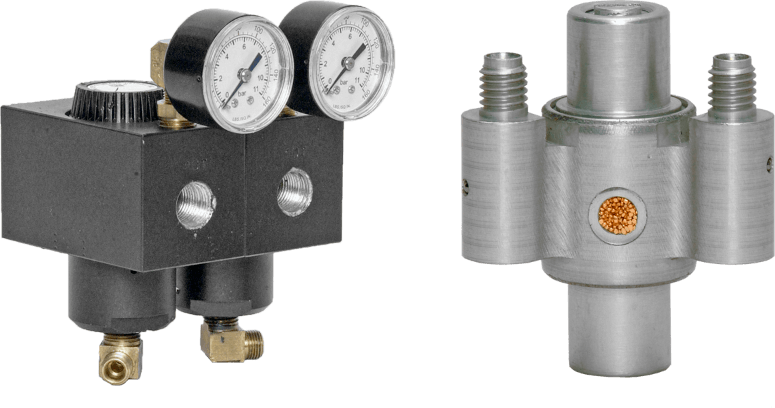 Introducing our new line of Manifold Regulators. 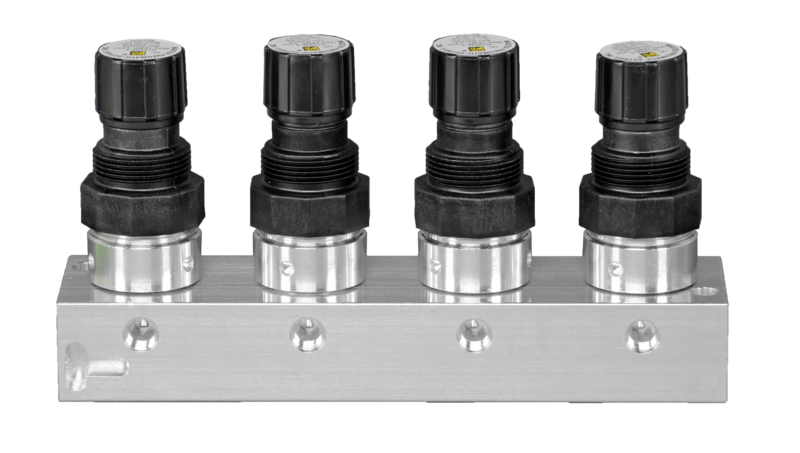 They are offered in 1,2,3 and 4 port regulator assemblies. Available in either Piston or Diaphragm design. Servicing distributors and OEM customers in over 35 countries, Master Pneumatic brings 68 years of design and manufacturing experience to it's various customers and markets. Our quick response, technical and manufacturing capabilities, and product flexibility has resulted in the development of over 700 custom products to meet the specific requirements of our customers.